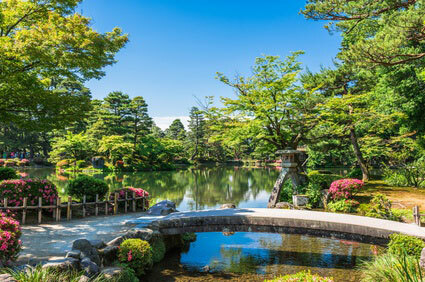 Nikkō is a small town 135km north of Tokyo, and one of Japan's most popular tourist destination. 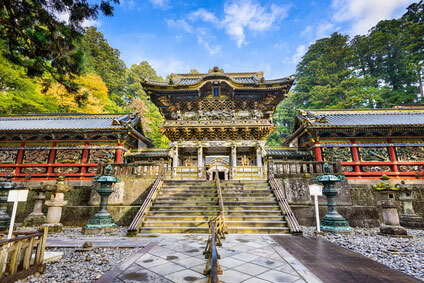 It is home to the country's most sumptuous shrine, the lavishly decorated Tōshō-gū, where Tokugawa Ieyasu, founder of the Tokugawa Shogunate (1603-1868) reposes. 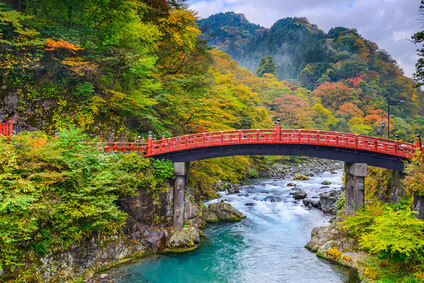 The Nikkō National Park also includes attractions such as Lake Chūzenji, the Kegon Waterfall, Mount Nantai (男体山, 2,486 m), the marshlands around Lake Ozenuma, and various hotspring resorts like Chūzenji Onsen, Yumoto Onsen and Kinugawa Onsen. Tokugawa Ieyasu was laid to rest in the Tōshō-gū at his death in 1617. 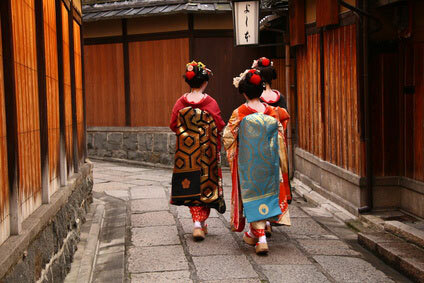 However, the present buildings were entirely reconstructed by his grandson, Tokugawa Iemitsu. The work started in 1634 and took 2 years and 15,000 artisans to complete. The result is one of Japan's most lavish and profusely decorated shrine is all Japan, now listed on the UNESCO World Heritage List. The Tōshō-gū is famous for its detailed and colourfully painted wooden sculptures. Among them, the three monkeys hiding each respectively their ears, eyes and mouth, representing the Buddhist doctrine "hear no evil, see no evil, speak no evil" , have become a symbol of Nikko. Souvenir shops have plenty of goods displaying the monkeys. 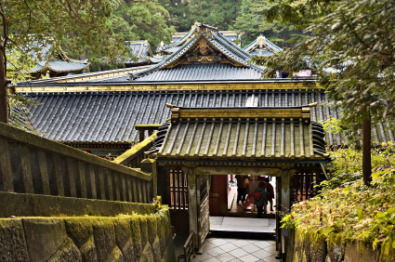 The overall appearance of the shrine looks more Chinese than Japanese, and this feeling is reinforced by paintings of Chinese sages, dragons and other mythical creatures. Also note the relief carvings of elephants, sculpted by an artist who had never seen a real one. This Buddhist temple of the Tendai sect has impressive gold-lacquered statues of Amida Buddha, Senju-Kannon (1000-armed Kannon) and Bato-Kanno (horse-headed Kannon). This is the mausoleum of Tokugawa Ieyasu's grandson, Iemitsu (1604-1651). 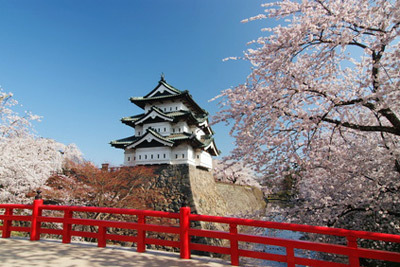 Taiyuin-byo is a smaller replica of the Tōshōgu and also combines extravagantly Shinto, Buddhist and Chinese elements. It is said to exceed the Tōshōgu aesthetically. It was established in 782 by the Buddhist priest Shōdō Shōnin (735-817) and is dedicated to Nikkō's three sacred mounts : Nantai-san, Nyoho-san, and Tarō-san. 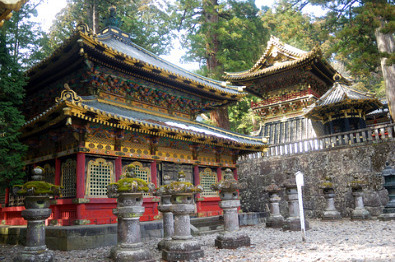 There are three Futara-jinja shrines. One is near Nikkō's Tōshōgū, another one shrine sits on the shore of Lake Chūzenji and the innermost shrine is at the top of Mount Nantai-san. 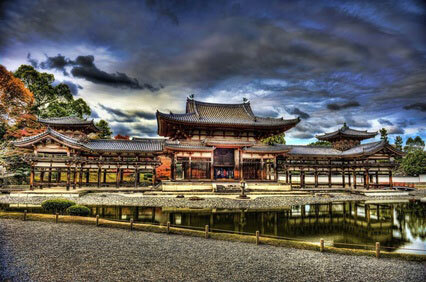 See Chūzenji area for access to the two other shrines. The main hall has an interesting collection of animal paintings and the attached garden has a teahouse serving matchaa green tea and traditional sweets for ￥350. Visitors to Nikkō traditionally have to pass on the Shinkyō Bridge (literally "bridge of the gods"), a fine vermilion lacquered structure built in 1636 as a gateway to the Tōshō-gū (although it officially belongs to the Futarasan Shrine). Nowadays it will cost you ￥300 for the priviledge (open from 8.00 am to 5.00 pm from April to November, and 9.00 am to 4.00 pm the rest of the year). 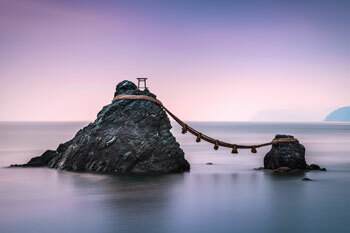 The Shinkyō is ranked as one of Japan's three finest bridges, along with the Kintai-kyō in Iwakuni and the Saruhashi in Yamanashi Prefecture. 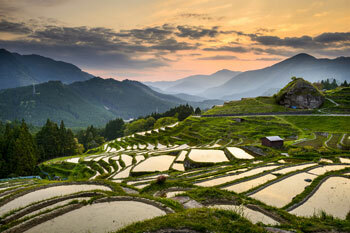 It measures 28 meters in length, 7.4 meters in width, and stands 10.6 meters above the Daiya River. This recreation of an Edo era village is mostly destined for children. It has a samurai quarters, ninja displays and a "temple of hell". It is open from 9.00 am to 5.00 pm (Dec-Mar 9.30 am to 4.00 pm). Last entry is one hour before closing time. Admission is ￥4,700 (one-day pass) or ￥4,100 (afternoon pass) for adults and ￥2,400 (one-day pass) or ￥2,100 (afternoon pass) for children. More information on the official website. Nikkō is easily accessible from Tokyo. Take the Tōbu-Nikkō line from Tōbu Asakusa Station, under the Matsuya Department Store. The journey takes about 2h and cost ￥1320 one-way. 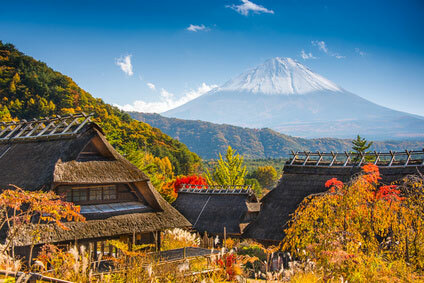 If you are planning to travel around the Nikkō National Park such as the Lake Chūzenji & Yumoto Onsen area, you should consider purchasing a Free Pass (see Chūzenji area). 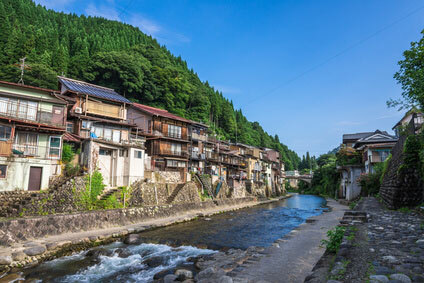 Kinugawa Onsen (鬼怒川温泉) and Nikkō Edo Village are accessible from Tōbu Kinugawa Onsen station. Get off at Shimoimaichi (下今市), 7min from Nikkō on the way back to Tokyo, then change to the Tōbu Kinugawa line for another 13min to Kinugawa Onsen station.